Buying the Lexus LFA means eschewing speed records, famous lap times, and revered genealogy. All at cost somewhere near $500K. It means either having great taste or awful taste. Buying a brown one puts you firmly in the former category. These photos were taken by Stefan Dume, who was on hand to capture the un-boxing of this Pearl Brown LFA. It looks fantastic. 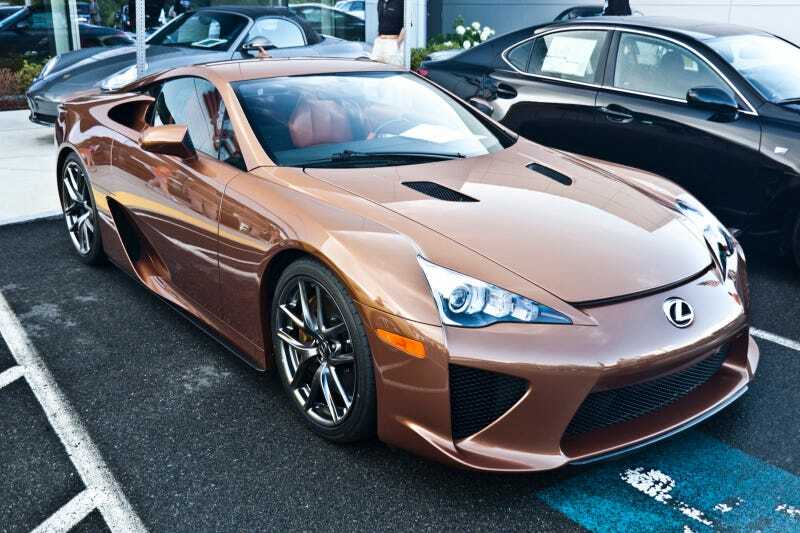 Perhaps the most attractive LFA bult.